Publisher's Summary: In a city of daimons, rigid class lines separate the powerful from the power-hungry. And at the heart of The City is the Carnival of Souls, where both murder and pleasure are offered up for sale. 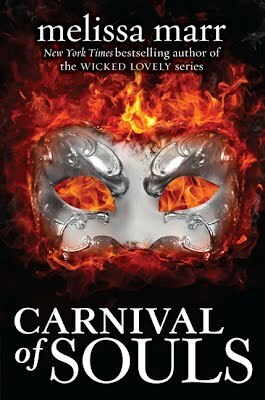 Once in a generation, the carnival hosts a deadly competition that allows every daimon a chance to join the ruling elite. 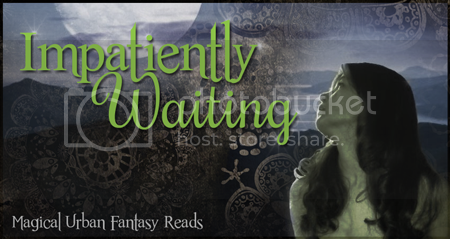 Without the competition, Aya and Kaleb would both face bleak futures—if for different reasons. For each of them, fighting to the death is the only way to try to live. I've only read the first book in the Wicked Lovely series. It was okay but I am curious to try more from this author. This one sounds exciting! This sounds like a fun one, with all the daimons and witches and fierce-sounding competition! Love the cover, too! I hear great things about Melissa Marr but I have yet to read any of her books. This sounds like another good one. Niiice! Can't wait to try this one out either! Saw that it was at BEA and wished once again that I was there! I liked her Wicked Lovely series, so I'm definitely looking forward to checking this one out! I didn't know she was coming out with this, so thanks for bringing it to my attention! I haven't read anything by Melissa Marr, but the premise of this one intrigues me. Killer cover as well. This book sounds so awesome and I love the cover!!! Melissa Marr is my favourite author for this genre. She never disappoints and Carnival of Souls is no exception. The world created by her is so vivid, different, dangerous and dark. I love how it steps away from the usual YA novel of high school life and best friends and the gorgeous guy the quietest girl in town gets. Some themes are still found but it's not done in an innocent voice, la-ti-da style. It touches raw and I LOVE IT!